Time’s Up is only a few months old, but it’s already raised $20 million for legal fees to support victims of sexual harassment in the workplace. 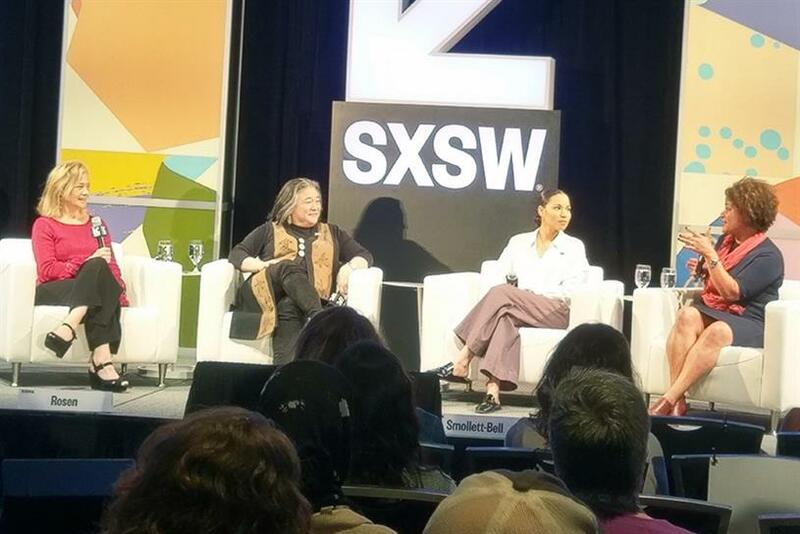 At SXSW, leaders in the movement spoke about this moment finally catalyzed into action, as well as the uphill battle that faces people seeking justice. Though Time’s Up’s primary focus is the entertainment industry, the issues is raises are applicable across disciplines, an there’s plenty of crossover with the particular problems that women in the advertising industry deal with. "I realized how conditioned I had become to just accept [harassment] as a part of my job, and not really feeling like there was any place I could go or anything I could do about it," said Jurnee Smollett-Bell, during the "Time’s Up! Shifting the Imbalance of Power" panel at SXSW on Sunday. The "True Blood" and "Friday Night Lights" actor is a member of Time’s Up WOC. "Our industry, like so many industries in our nation, have been run by straight, white men, and that is unacceptable. It’s been far too long where they’ve had the power," Smollett-Bell said. "We are not in the boardrooms, we are not in the writers’ rooms, we are not greenlighting the films. Until that changes, we are going to continue to be on the receiving end of this harassment." That point was echoed by Tina Tchen, a partner at the law firm Buckley Sandler who spearheaded the Time's Up Legal Defense Fund. "It’s important to remember that sexual harassment is the tail-end of the process. It is the symptom that happens when you don’t have truly diverse workforces," she said. Rather than only trying to combat harassment after the fact, when it becomes difficult to prove and the process is expensive and litigious, companies should strive to be more representative. "When you have a truly diverse workforce that’s led by women and people of color, in addition to white straight men and LGBT leaders, then you will have a workplace that is safe and equitable." That’s easier said than done, though, especially in the gig economy, Tchen acknowledged. Public policy hasn’t kept up with the changing nature of work, and freelancers or contract workers are among the most vulnerable people. "In places where employment relations are not well-defined, that makes you susceptible to a whole range of actions," said Fatima Goss Graves, president & CEO of the National Women's Law Center, which administers the Time's Up Legal Defense Fund. "You go from project to project. A lot of your laws are contractual, not civil rights laws," so there are often no protections for people who aren’t legal, full-time employees—and therefore no legal recourse if harassment does occur. While harassers often have the full resources of a company at their backs, victims must deal with very short statues of limitations, and must contend with the extensive legal teams brought to bury their cases. "Let’s be real, that’s about silencing folks," Tchen said. "The only way to put a stop to that is to make sure that everybody has a lawyer who needs a lawyer." As of today, the ad industry has taken another step toward solidarity with other industries, with the formation of Time’s Up Advertising, which will raise funds for the Time’s Up legal Defense Fund.